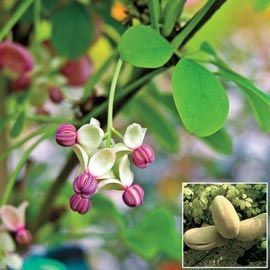 Chocolate Vine | Henry Field's Seed & Nursery Co. This 15- to 20-ft. vine not only smells like dessert, it also produces loads of lovely, lilac-purple flowers from May through June. 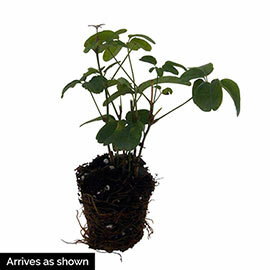 Hardy in Zones 4-9, Chocolate Vine bears unique, leathery leaves that grow in attractive clusters and are evergreen in milder climates. Can be used as a climber on arbors, trellises and fences or as a lush ground cover. Large, edible seedpods ripen in early autumn and taste like tapioca pudding! Prefers full sun to partial shade. Plant two varieties for pollination. Potted plants.